With the holidays right around the corner, I wanted to give my readers an inside look at all the products I love, use and dream of owning one day soon. Hopefully, this will help you find the perfect gift for the wonderful people in your life in this season of giving. We all know that Sunday Morning Snuggle Bug who takes awhile to cokes out of bed. this Christmas celebrate this bed warmer with a gift that will make their Sundays extra special. If you are like me, in my circle of friends I have a few ladies and men that are always at the airport either for work or pleasure. 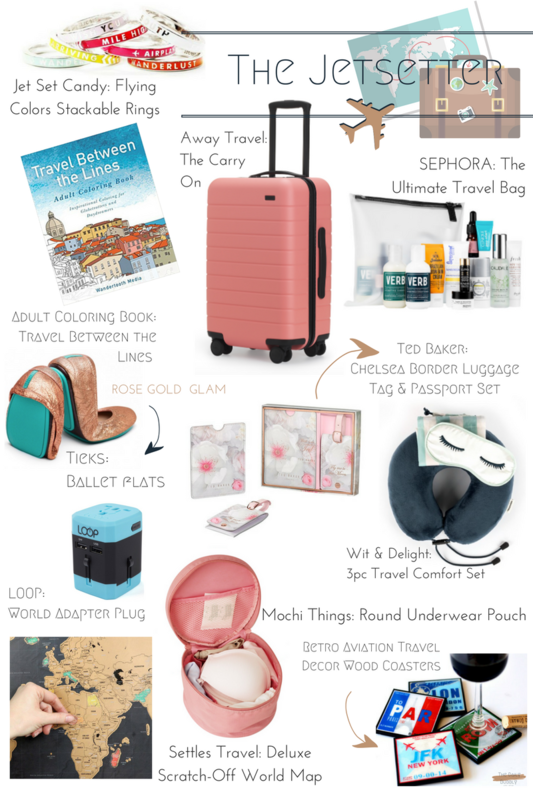 The gifts below will make their travels more enjoyable and celebrate the wanderlust inside of them. Happy Gift Giving!